Melissa was born and grew up in the United States, and graduated from Harvard University. She worked in tech in the Bay Area for five years, including at Facebook, Passion Capital and Massive Health. 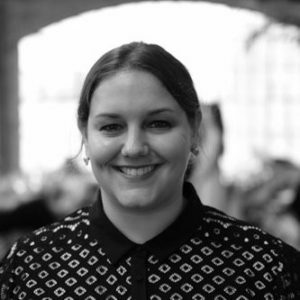 She relocated to London and joined Balderton portfolio company Thread as head of talent in 2014. When the opportunity arose for a relocation to Europe, it was at a good time in my life. I had none of the ties (property, children) that makes these moves more complex, so it was a really great time to try something exciting and new. I did not make the move with a specific job, so I had the luxury of a little time to learn what was going on first before picking a new position. Do you think your Valley experience has given you an ‘edge’ in your career in Europe? I do think so. I was very fortunate to have worked at Facebook. It was a rare opportunity to be in early at a company going through explosive growth. I was able to work with some of the best recruiters in the Bay Area early in my career and learn from them, and then bring those learnings to Europe. When I got here, I did find that my experience was a little further along in terms of recruiting for fast-growth tech startups than my peers here, so I feel I have been able to pass along all the great things I've been lucky to have learned from my peers in the Valley. When I first arrived, I didn't have a specific position locked in. I reached out to people I knew in the investment space, who introduced me to others and quite quickly I had met with a lot of people. What really struck me was how generous people were with their time and advice. It was a very positive experience. I felt that the people I met early on really wanted to help me succeed here. What is your experience of the talent landscape in London? The first thing I've noticed is that there's a lot of great engineering talent but it's locked up in the financial sector, which is different than the Valley. This does make it harder to recruit. In the Valley, there are huge numbers of engineers and it's simply a more established market. What I've seen here is that the best talent is being recruited straight out of university into banks, so I'm constantly thinking about how I can get them out of there! There's no question of where the best talent is — there's great talent in both places. The UK has some of the best universities in the world. There's no doubt there are amazingly smart and talented people here. I feel there is quite a typically 'American' work ethic of being very direct, ambitions, and proud of your ambitions. Here, I feel I have become much more collaborative. People ask for, and receive, advice generously here. There's an attitude that people can help one another and it doesn't mean we both can't win. This may be because I'm in more of a leadership position here in London, but I have experienced a close and collaborative community here and have got to know a lot more people outside the company I work for than I did in the Valley. I have also noticed a very different attitude to the interviewing process. People I am recruiting often have multiple companies pursuing them. But they feel they have to accept the first offer they get and turn down the others because it's polite or they feel obliged to do so. I try to encourage them to think that the only obligation they have is to themselves and they need to take the time to make the right decision for themselves. When I talk to people in the Valley, they say things like "you won't be working on the next Facebook," like that is a reason itself not to work in Europe. But I see this very differently now. To be honest, there is actually more opportunity for people to shine here than in the Valley, because it's just so crowded there. Here you get to be, dare I say it, a bigger fish! The pond may be smaller now, but it's going to get much bigger. There is now a world of difference than there was even ten years ago. There's a chance to make a real impact. Fearlessness is more common in the Valley than it is here. Startups fail regularly there, and people even respect you for that failure — you have your pick of multi-billion dollar successes but also of multi-billion dollari failures too. I think about how I can encourage people to be more assertive, aggressive and ambitious here, because it's less culturally acceptable to be boastful and aggressive. But on the other hand, that makes it a very collaborative place to work. I would tell them that working in the UK is amazing. And if you're ready to execute and 'learn by doing,' now is the time to try it. When I was working at Facebook, I was ready to learn by being around great people. When I moved to the UK it was the right time for me. I had a solid career foundation. I was ready to get thrown into the 'deep end' and learn new things by doing them. There is a tendency in the Valley to hear than a Series B in Europe is only $20M and that's nothing. But it's not nothing, and it's growing. The London scene is getting more and more established every day, and there are more and more companies where it's possible to soak up new learnings and new technologies. Frankly, there's endless opportunity for people that want to come in to lead functions, change the way people think about things, and establish best practices.